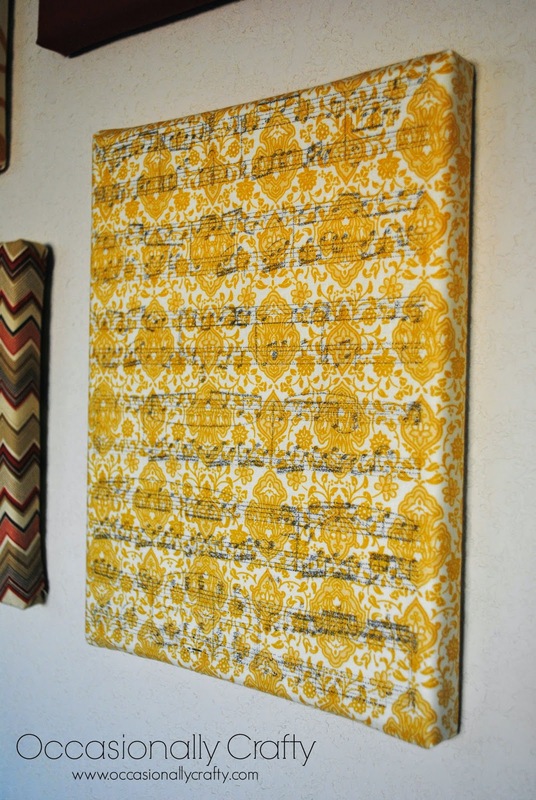 Sister's Challenge: Fabric Wrapped Canvas with Wax Paper Transfer! 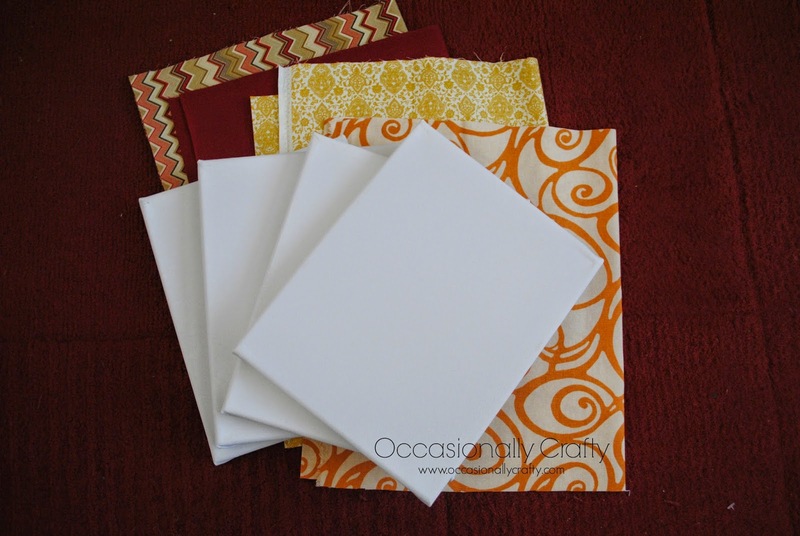 | Occasionally Crafty: Sister's Challenge: Fabric Wrapped Canvas with Wax Paper Transfer! 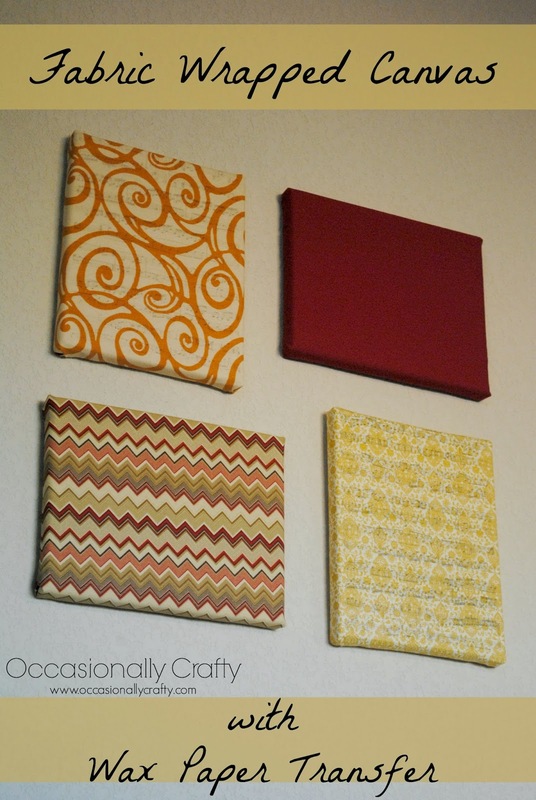 Sister's Challenge: Fabric Wrapped Canvas with Wax Paper Transfer! 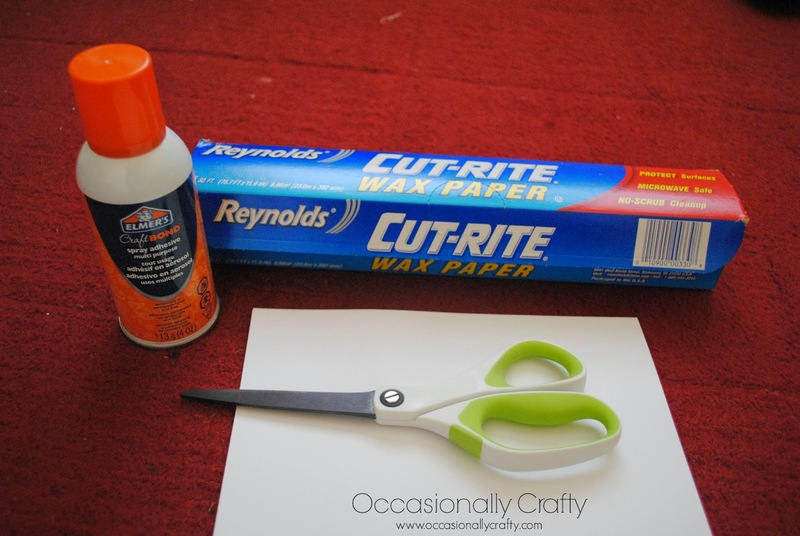 Spray your printer paper with adhesive spray, then spread the wax paper neatly over it. 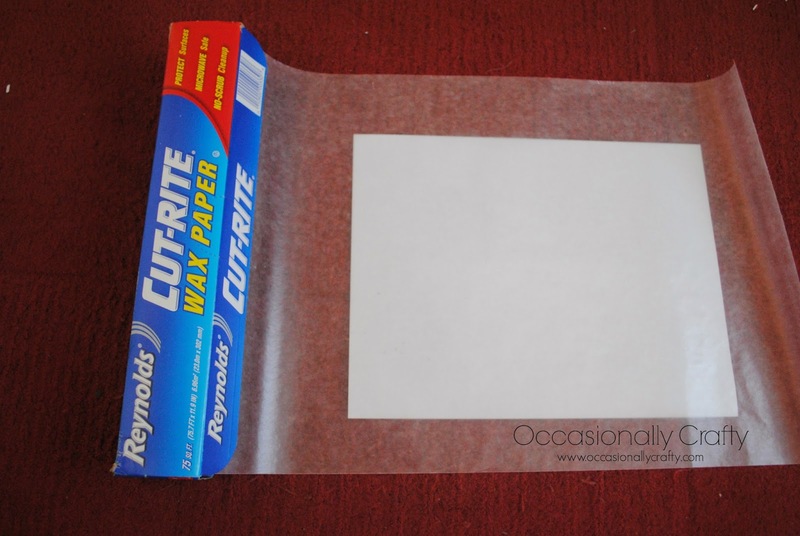 By adhering the wax paper to printer paper, it will feed more easily through your printer. Trim the edges so your paper is the right size and ready to feed through the printer. 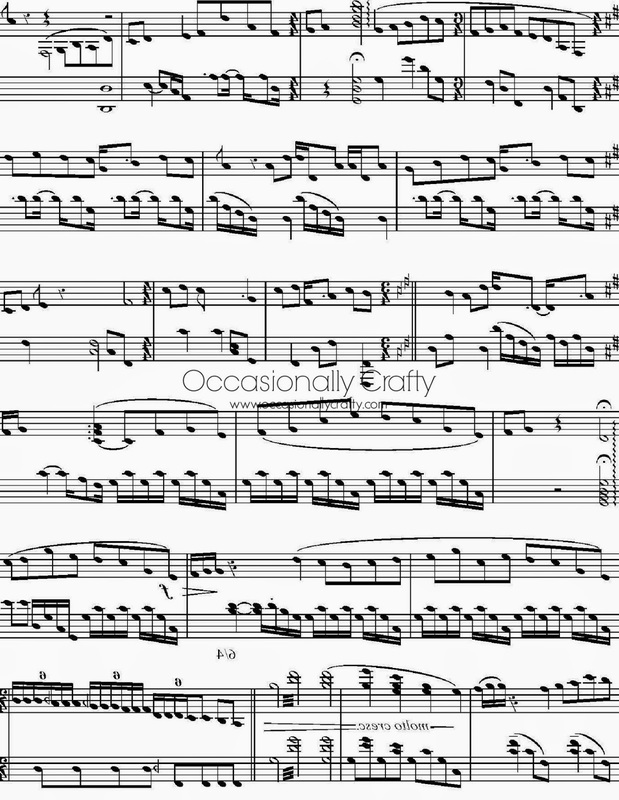 Like I said I chose to print sheet music. Make sure your image is REVERSED so it will end up facing the right way on your fabric. Be ready to work quickly before the ink dries. Print your image and then place it immediately on your fabric. I used a credit card to carefully press it down without letting the whole image slip around. You can also lightly moisten your fabric to help it come it clearer. Too much water will make the image blot and run. 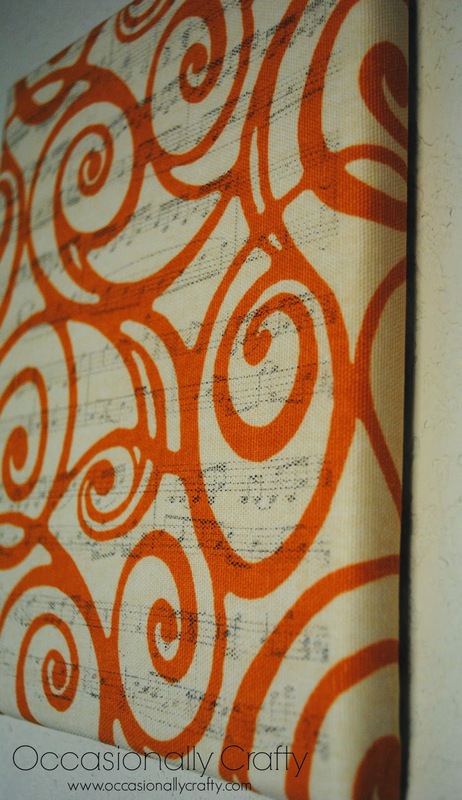 I put music on two of my fabric canvases, and the other two I left as they were. 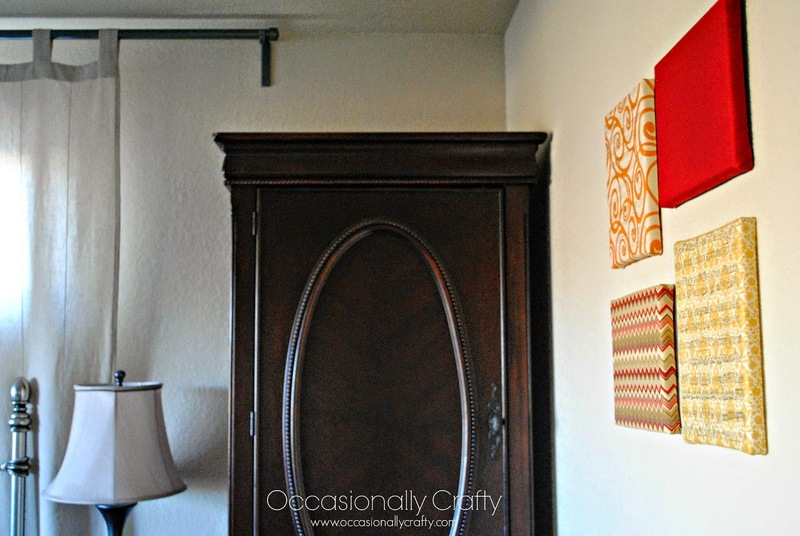 I used my staple gun to staple the fabric around the canvases, and nailed some picture hooks on the back for hanging. Then I just had to do a little measuring and eyeballing to put it on the wall just right! Here's a view with the bedspread too. I love how it turned out. It adds a little more flavor and personality to our room! What unique things have you used fabric for? I love the colors of these....they look great! Thanks! I had a hard time deciding! Great idea with the sheet music, I've never tried this method but I'm feeling the creative spark! 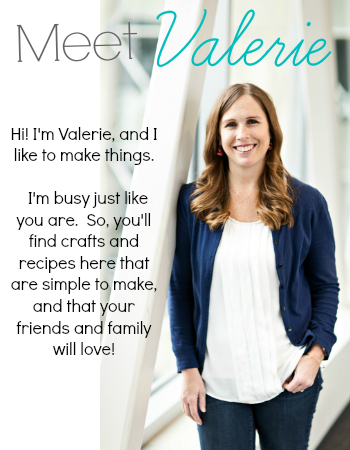 It's a lot of fun and adds a lot more possibilities! 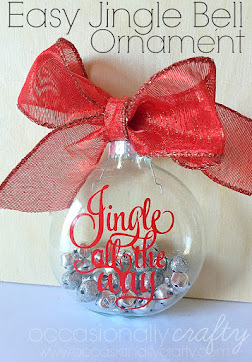 I have been seeing these become more popular in the crafting world! 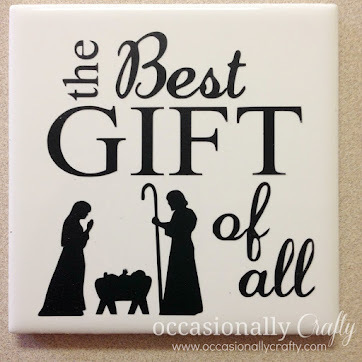 It's an easy way to customize decoration for a room. Thanks for coming by! 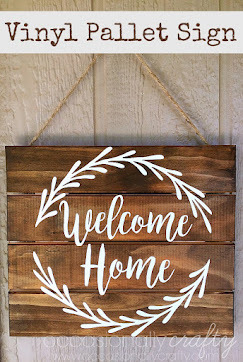 Cool DIY project! 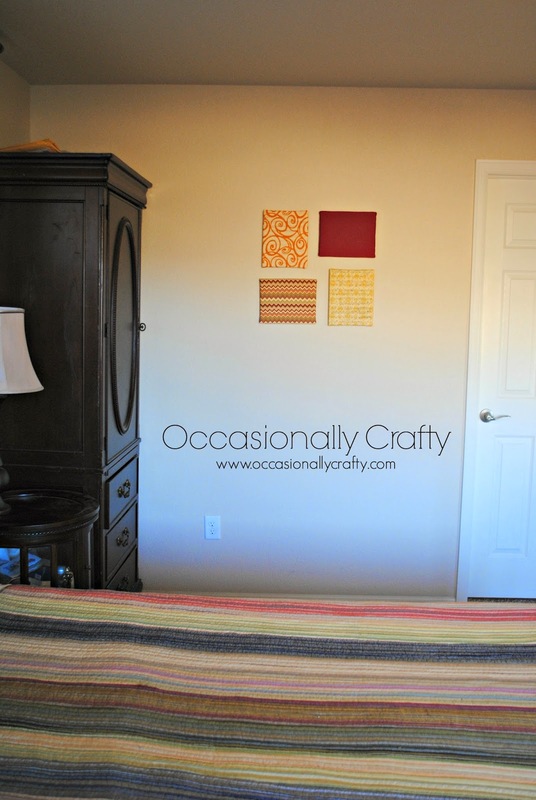 I only completed one DIY project before, and it looks like a must try. Thanks! Send me pics if you try it! Thanks Lozelle, let me know how it goes! I love the colors. This is so creative and simple. Thank you so much for a great tutorial! This is so cool! I love the different patterns and colors. What a great gallery wall. Thanks Lou! It helps warm the room up a little! I never knew you could do this!!! Wow, how fun is this. Great DIY tip.